This suggests the trade-offs any national cybersecurity strategy faces, not least how security policy should not impinge upon democracy, liberty or other ‘core values’. 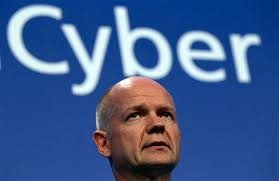 Meanwhile there is a lack of conceptual clarity, with cyber war, crime and security often being used interchangeably, and a recurring difficulty among policymakers of how to conceive of ‘cyberspace’ given its social and technical character. Ben O’Loughlin and Andrew Hoskins will talk about how strategy can be organized and communicated in these conditions, conditions they have theorized as ‘diffused war’. Other speakers include Thomas Rid, Richard Clayton and Tim Jordan.